Green Tea | Become Healthy or Extinct! Green tea is made solely from the unfermented leaves of Camellia Sinensis that have undergone minimal oxidation during processing. Though green tea originated in China, it is now grown in many other countries as well and the variable growing conditions, horticulture, production, harvesting and processing methods create different varieties. 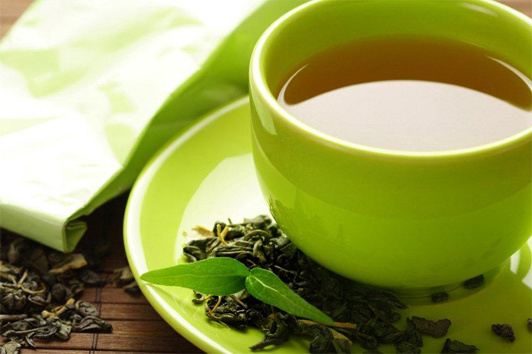 Green tea is high in flavonoids, which are a group of phytochemicals that have anti-oxidative and anticarcinogenic properties. In traditional Chinese and Indian medicine, green tea is used as a stimulant, a diuretic, an astringent, and to improve cardiovascular health. Other traditional uses of green tea include treating gas, regulating body temperature and blood sugar, promoting digestion, and improving mental processes. Studies show that regular consumption of green tea helps reduce the severity of many chronic illnesses. This is only natural as all chronic illnesses worsen with the presence of free radicals in the body and the anti-oxidant action of green tea reduces the free radical buildup. The amount of green tea that will be beneficial for you depends on your level of free radical buildup. Having one or two cups a day is the normal average. To give your green tea some added flavor, as well as to treat sinuses, cold, inflammation and pain, add some ginger in either its powdered form or in its fresh crushed form after the tea is brewed. Powdered cinnamon also gives green tea a wonderful flavor. It helps to lower diabetes, high blood pressure and cholesterol and it supports digestive function and helps relieve pain and stiffness of muscles and joints. It also prevents tooth decay and gum disease.